The Treasury has urged businesses to prepare for the introduction of the new 12-sided £1 coin, which the government hopes will help combat the production of counterfeit coins. In order to tackle this issue, a hidden ‘high security feature’ has been added to the new £1 coin, in an effort to make its design harder to replicate. The government has called for firms which handle cash to adapt or upgrade their equipment and train their employees on the features of the new coin, which will come into circulation on 28 March 2017. Following its introduction, there will be a six-month period during which both the old and the new coin will be in circulation. Both will be accepted as legal tender during this time. The new coin will then replace the existing 30-year-old coin, which will be demonetised after 15 October 2017. The government has outlined new measures that will require large companies to publish details on how quickly they pay their suppliers. The proposals, which come into force in April 2017, will require large firms and limited liability partnerships (LLPs) to publicly report twice a year on both their payment practices and performance, including the average time taken to pay supplier invoices. A recent report by the Federation of Small Businesses found that, on average, 30% of payments are late. The measures form part of a package to tackle late payments, which also includes the appointment of a Small Business Commissioner who, from Autumn 2017, will support small businesses in resolving payment disputes. The government hopes the new measures will increase transparency and help small businesses to make ‘informed decisions’ in regard to who they do business with. 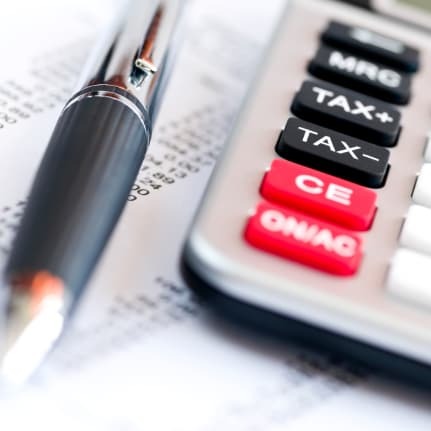 The Scottish government recently confirmed that it will be exercising its additional tax powers, by changing the higher rate income tax threshold in line with inflation for the 2017/18 tax year. In a devolutionary deal similar to the one granted to the Scottish government, the Welsh government has also been given new powers to set its own rates of income tax, with effect from April 2019, as part of an arrangement with the UK Treasury. The Welsh government has already been granted new stamp duty powers. From April 2018, a new Land Transaction Tax (LTT) will replace stamp duty land tax (SDLT) in Wales. The government recently announced its decision to shelve plans to allow current pension annuity holders more flexibility to sell their annuities for cash. The idea was first proposed by the former Chancellor, George Osborne, in March 2015, following on from the changes allowing wide-ranging pension freedoms. The scheme would have given those who already hold an annuity similar freedoms to individuals approaching retirement, who are no longer required to use their pension pot to purchase an annuity. Individuals would have been able to sell their annuity income without the current tax restrictions, providing their annuity provider agreed. The idea was, however, dogged by controversy after some experts raised concerns that consumers who sold their annuity would not get good value for money in a market that was likely to be small, with an insufficient number of purchasers. The Scotland Act 2016 devolved more landmark powers to the Scottish government and on 15 December, Finance Secretary Derek Mackay presented the Scottish Draft Budget for 2017/18. Mr Mackay revealed that the Scottish government proposes to freeze the Scottish basic rate of income tax at 20% and also to freeze the Scottish higher and Scottish additional rates at 40% and 45% respectively. However, the Scottish government has decided not to follow the UK government’s plans to extend the threshold for paying the higher rate level of income tax of 40p, from £43,000 to £45,000 for 2017/18. Instead, the higher rate income tax threshold in Scotland will increase by inflation to £43,430 in 2017/18, while the additional rate of tax of 45% remains payable on taxable income above £150,000. The higher rate income tax threshold will increase by a maximum of inflation in all future years of the current Parliament. Mr Mackay also confirmed that there will be no changes to the Land and Buildings Transaction Tax (LBTT) rates in 2017/18. Looking further ahead, the Scottish government will introduce a Bill in the first year of the current Parliament to establish the tax which will replace Air Passenger Duty (APD) in Scotland from 1 April 2018. The Scottish Parliament has said it is committed to delivering a 50% reduction in the overall tax burden of APD by the end of the Parliament. If you think you may be affected by the Scottish tax changes, please contact us for advice.